Meet local producers and learn about terroir and locals specifities. 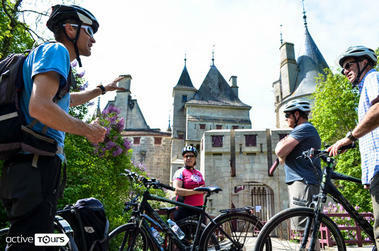 One day cycling tour takes you into the vineyards of the Côte de Beaune. 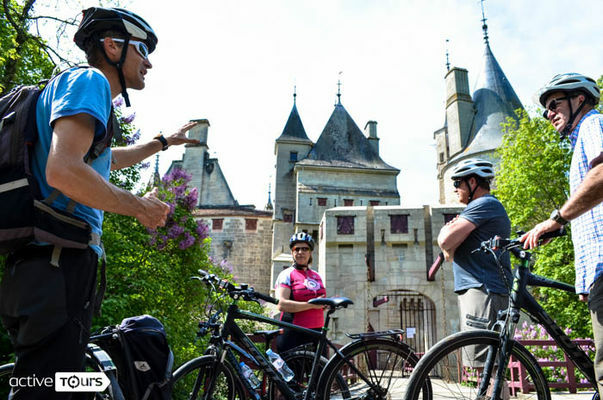 After a short briefing about how to use the bicycle and adjust your helmet, we'll ride in the heart of Burgundy wines region. You will approach here our culture. Along the way, we propose a wine tasting in the vineyard which is a good opportunity to explain the differents types of wines in Burgundy. You'll understand and learn about the grappe varieties to associate a taste, about the soil and why Burgundy wines are so unique and exceptionnal ! After lunch, the trip continue on an easy cycle path and get across famous wines villages. A local winemaker will welcome you in his winery for a visit of his stone cellar followed by a tasting of at least 4 wines. If you desire you will be able to buy some bottles. The winemaker can deliver your order directly where you want. Finally, from Pommard, we'll go back to Beaune by bus at the visitor center. Your guide is here to take care and help you, for your needs or all questions.